Description: EnergyVille is an association of the Flemish research institutes KU Leuven, VITO, imec and UHasselt in the field of sustainable energy and intelligent energy systems. 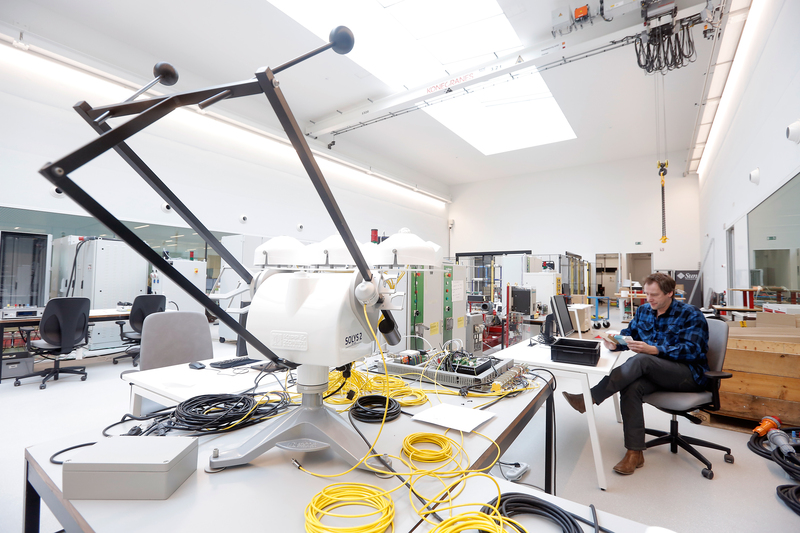 Our researchers provide expertise to industry and public authorities on energy-efficient buildings and intelligent networks for a sustainable urban environment. This includes, for example, smart grids and advanced district heating and cooling. Description: Offer of the lab: Measure the electrical and mechanical characteristics of your electro-technical equipment, power electronic devices and solar panels. Description: Offer of the lab: Test your medium-voltage smart-grid equipment in a three-phase synthetic grid up to the 50th harmonic in realistic condition. Description: Offer of the lab: Characterise the electrical and thermal behaviour of your photovoltaic modules for building-applied and building-integrated applications. Description: The EnergyVille Real-Time Lab is a multifunctional lab with grid emulator capabilities. 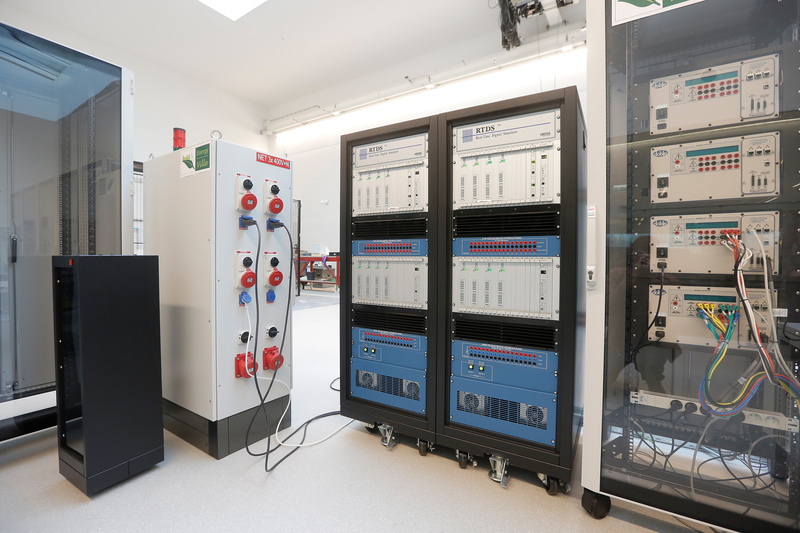 Our detailed real-time power system simulators enable testing grid control functionality in close to real-life system conditions. 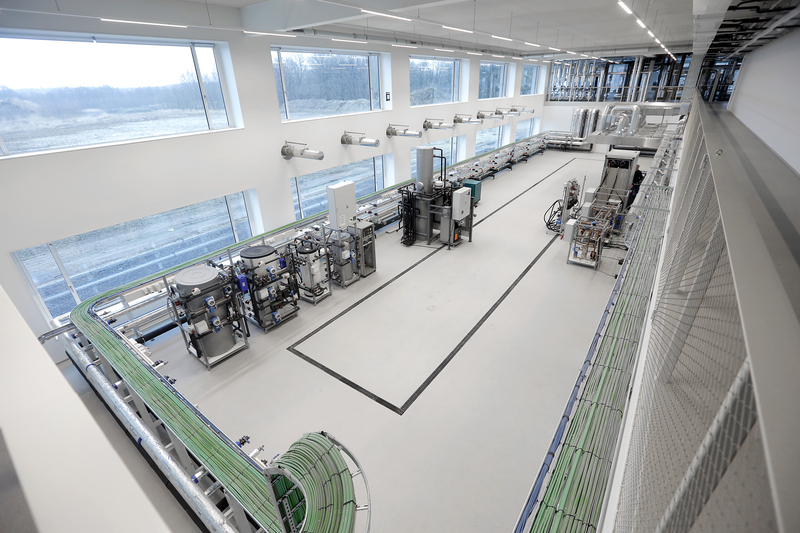 Description: The EnergyVille Thermo Technical Lab is a multifunctional laboratory for static and dynamic tests The EnergyVille Thermo Technical Lab is one of the major research facilities of this knowledge center. 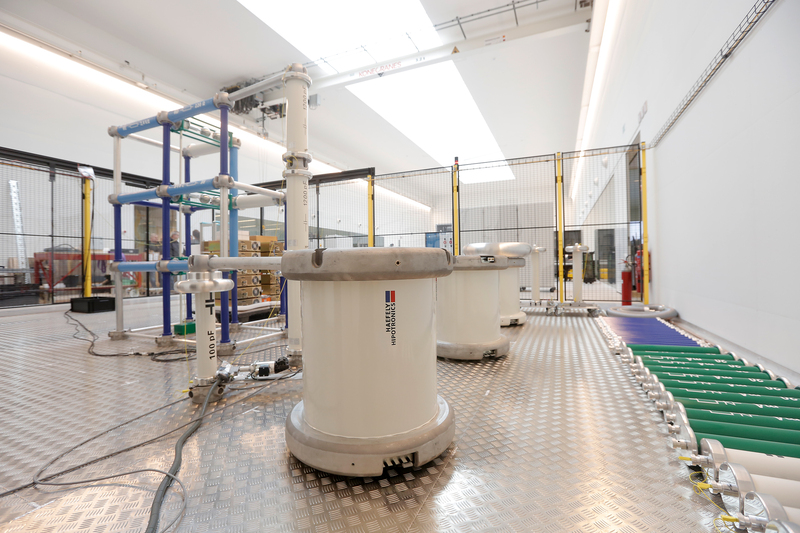 It is a multifunctional equipped laboratory infrastructure in which static and dynamic tests on thermal systems (heating and cooling) can be performed. The laboratory is controlled and measured by an industrial PLC infrastructure, linked to a SCADA package. 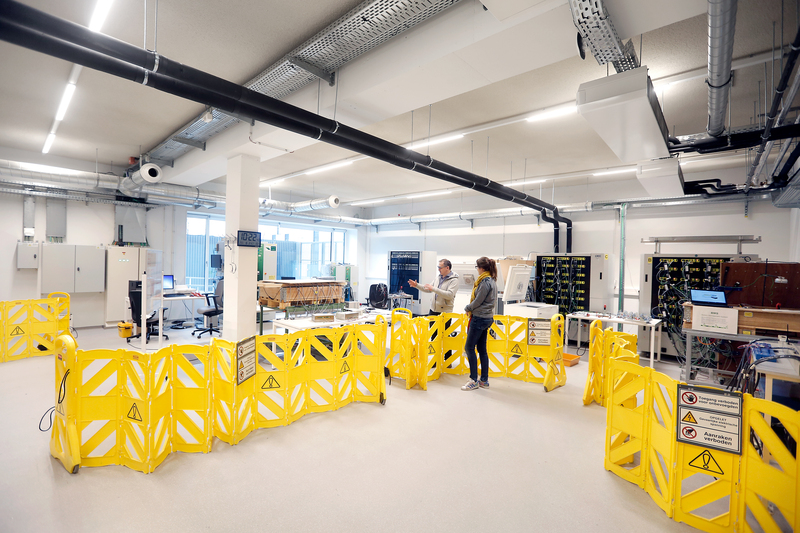 The devices can be connected directly to the EnergyVille Smart Grid Infrastructure Lab. 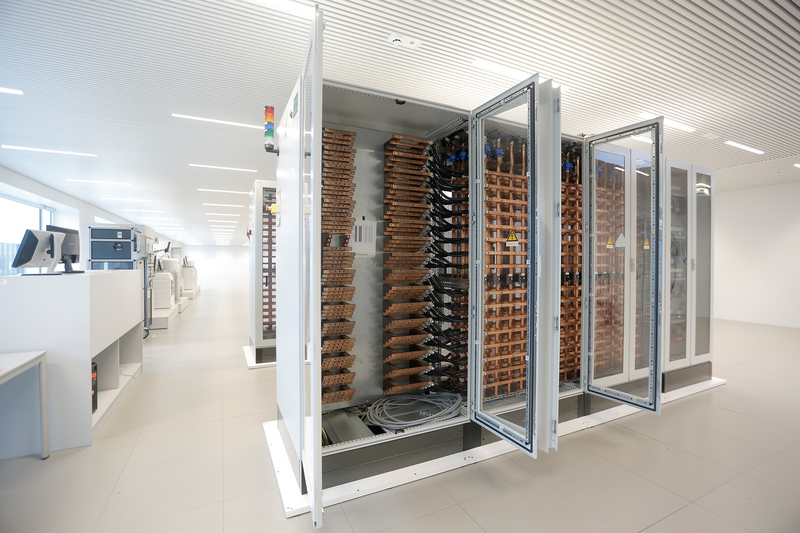 Description: The EnergyVille Smart Grid Infrastructure Lab is a platform for testing smart grid products and systems. Description: The EnergyVille Home Lab infrastructure is a testing facility where industrial partners can perform technology validation for home energy management systems, residential demand response technology and in home communication technology. The Linear pilot tested its newly developed and deployed residential demand response technology in this Home Lab. 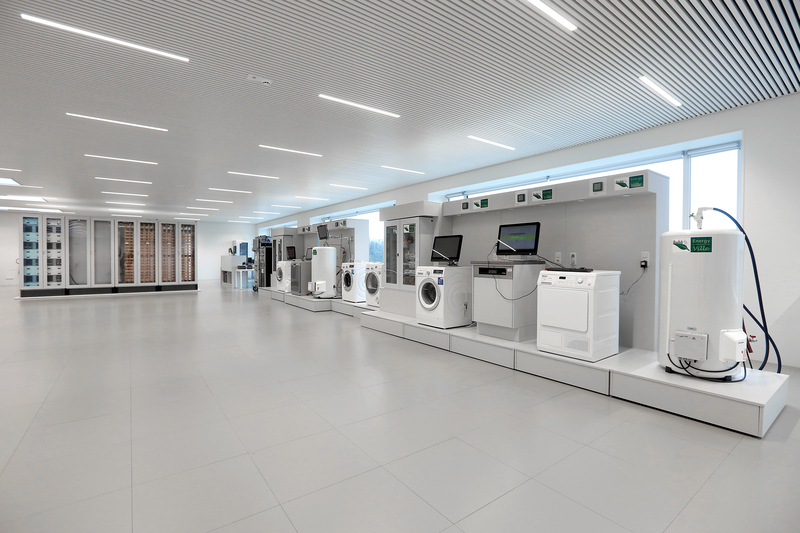 Also Intelligator®, a hierarchical market based demand response control mechanism, was developed and tested here. For each of the two households, the electrical conditions can be controlled and measured in high detail and with high reproducibility. Description: Storage can smoothen the intermittent electricity production and improve demand supply matching. Electrical energy storage technologies are vital in making transport and industrial activities more sustainable. The actual performance and lifetime of a specific application can only be determined by testing. Batteries and ultra-capacitors exist in many types. Selecting the optimal one for an application is a complex matter, moreover since within each chemistry type (Lithium-Ion, Nickel-metal hydride…) exist several subtypes. 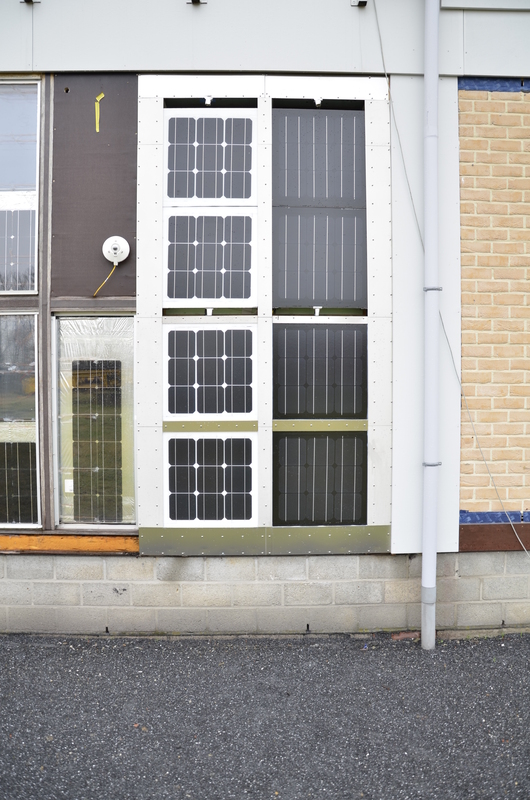 EnergyVille can perform tests according to any customer specified profile. 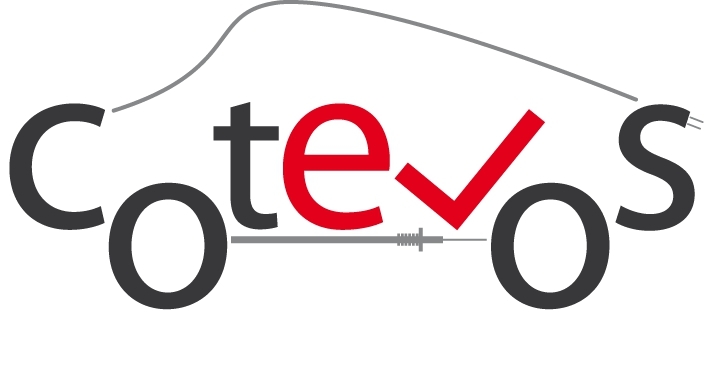 We have elaborate experience in developing custom efficiency test procedures that are equivalent to actual application cycles (electric vehicles, solar batteries…). Among others, the following tests can be performed in EnergyVille Laboratories. For all details, please consider the technical specification sheets of each laboratory. Development & test of VITO Intelligator®: an agent based control algorithm to match supply and demand of energy. Accurate high speed PQ measurements according to EN 50160.